Mix wine, juice drink and sparkling water. Serve over ice. Garnish with apple slices and mint. This recipe can easily be doubled or tripled. Use your favorite juice flavors, or try a more unusual blend such as guava-pineapple, in this refreshing mixture of wine and sparkling water. 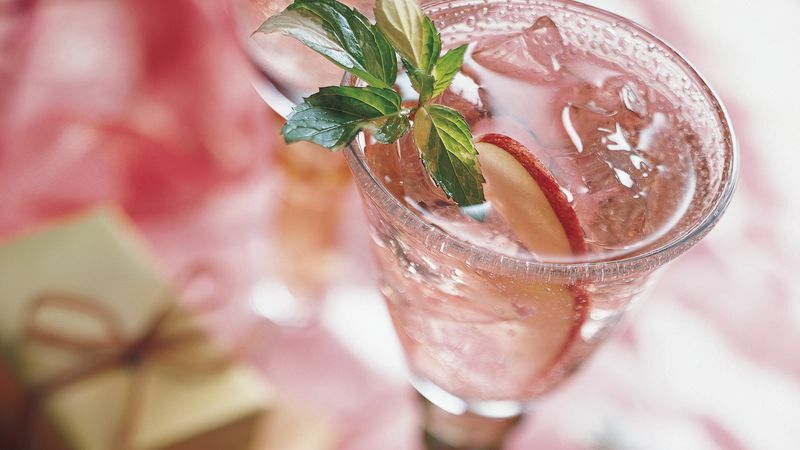 Pour this sparkling beverage into crystal glasses or goblets for an elegant presentation.